Save up to 40% – Book Today! Romance is an art form that happens 24/7, 365 days a year- but it doesn’t always need a weekend to make it special. Take advantage of our mid-week special and save up to 40% off while staying between Sunday and Thursday so you can enjoy the suite life fit for YOUR schedule. 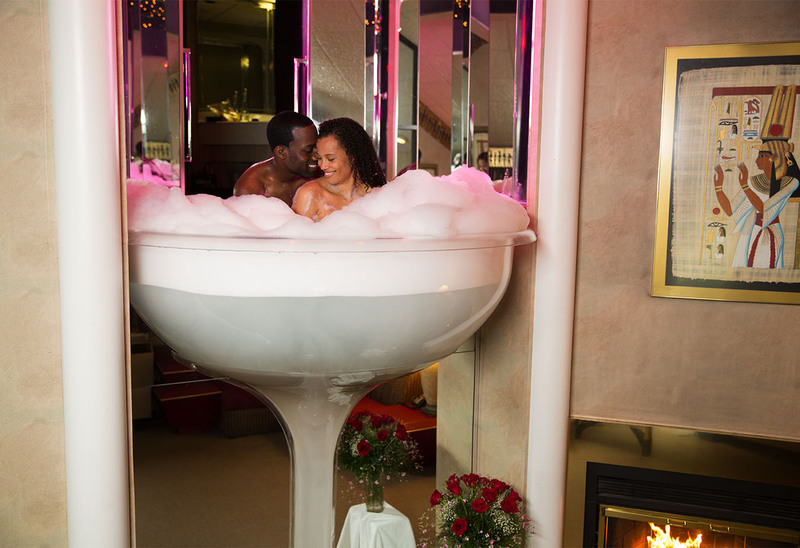 That’s right—romantic suites, sinfully delightful dinners, an absurd amount of activities, the beautiful scenery of the Pocono Mountains, live nightly entertainment, and time for you two to focus on each other and recharge the romance. Valid on stays now through June 30, 2019, but you must book by April 15, 2019! With our amazing new selection of dining night themes, there’s something for everyone to enjoy. Don’t wait, book today for these exclusive savings! *Rates are per couple per night. Offer valid weekdays Sunday-Thursday. Taxes, service charge and a daily resort fee of $25 plus taxes per occupied room not included. Cannot be combined with any other offer or discount program. Higher rates and/or minimum stay may be in effect for certain special events, holidays and peak travel periods. Rates subject to change without notice. Some restrictions/blackout dates apply.